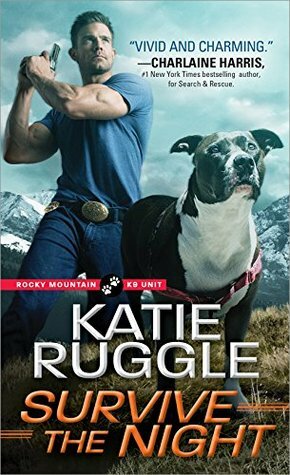 Survive the Night is the third book in the Rocky Mountain K9 Unit Book Series by Katie Ruggle was published on February 6th, 2018 by Sourcebooks Casablanca. He’s always been a haven: For the lost. The sick. The injured. But when a hunted woman takes shelter in his arms, this gentle giant swears he’ll do more than heal her battered spirit―he’ll defend her with his life. K9 Officer Otto Gunnersen always had a soft spot for anyone in need. As Monroe’s very own Dr. Doolittle, he dedicates himself to rehabilitating the injured souls that cross his path―but for all his big heart, he’s never been in love. Until he meets Sarah Clifton’s haunted eyes. Until he realizes he’ll do anything to save her.All Sarah wants is to escape a life caught between ambitious crime families, but there’s no outrunning her past. Her power-mad brother would hunt her to the ends of the earth…but he’d never expect Sarah to fight back. With Otto and the whole of Monroe, Colorado by her side, Sarah’s finally ready to face whatever comes her way. It’s time to take a stand.